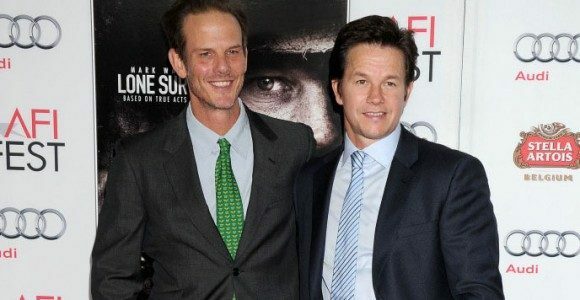 Hot off their recent collaboration Lone Survivor, director Peter Berg (Friday Night Lights) and Mark Wahlberg (The Fighter) plan to re-team for The Six Billion Dollar Man under The Weinstein Co.’s Dimension Films. Based on the novel Cyborg by Martin Caidin, the story will follow former astronaut Steve Austin (Wahlberg), who after nearly dying in a plane crash, is saved when doctors fit him with new bionic limb replacements, transforming him into a secret weapon for the government. The popular 1970s series The Six Million Dollar Man was also partially based on the same novel, as well as a Bionic Woman spinoff; however the -Berg team clearly plans to take the story to the next level, starting with bumping Austin to a ten-figure net worth. Screenwriters are still being courted for the project, so audiences will have to wait a bit longer to find out how else this new version will be modified. Taking into account the previous successes of the novel and television show, as well as Lone Survivor’s prosperity, The Six Billion Dollar Man will surely draw in scores of fans, new and old. Wahlberg has been non-stop busy in the midst of this news with his latest film The Gambler premiering at AFI Fest next week, as well as the announcement of his and Will Ferrell’s (The Anchorman) second film together, Daddy’s Home. A serial collaborator, he will also be starring in The Gambler director William Monahan’s next project Mojave, in addition to the Ted 2 sequel, and will be producing the cinematic version of his HBO television series Entourage.